Welcome and Thank You for Visiting. Homes for sale in South Lake Tahoe. Finding listings, searches or services that may meet your needs? Why not register for my website by clicking here registration also helps me stay in communication with my clients and allows me to offer the best service possible. I hope you enjoy your visit and explore everything my realty website has to offer, including South Lake Tahoe real estate listings, Property for sale in Tahoe, Tahoe Keys Lake front homes for sale, information for homebuyers and sellers, and more About Us, your professional South Lake Tahoe Realtor. If you’re planning to sale your home in the next few months, nothing is more important than knowing a fair asking price. I would love to help you with a FREE Market Analysis. I will use comparable sold listings to help you determine the accurate market value of your home. Here at South Lake Tahoe Real Estate, Scott Pearce offers premier real estate assistance and guidance to make sure you’re making the right home buying decision. Scott’s site offers single family homes, condos, Lake Front’s, cabins, vacant land and forest service cabins. Scott is a 21 year residence and has been helping buyers and sellers since 1998. 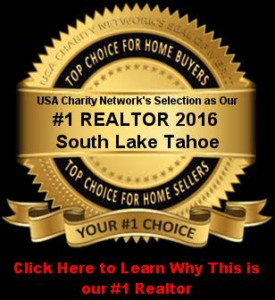 To see all South Lake Tahoe real estate for sale,please search for your interest. Please contact Scott today to discuss your real estate request for the wonderful Tahoe area.